By Steve Babson. 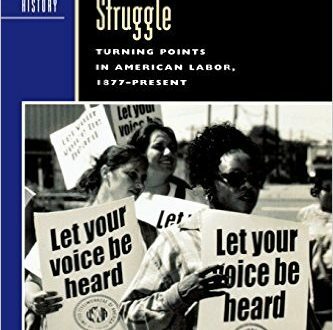 Provides a history of the modern American labor movement, examining the numerous attempts to organize workers from the Great Uprising of 1877 to the ‘sitdown’ strikes of the 1930s and identifies the causes of labor’s decline in recent decades as well as union leaders’ attempts to revive their organizations all the while showing how the fortunes of organized labor are tied to larger trends in American history. Read more.